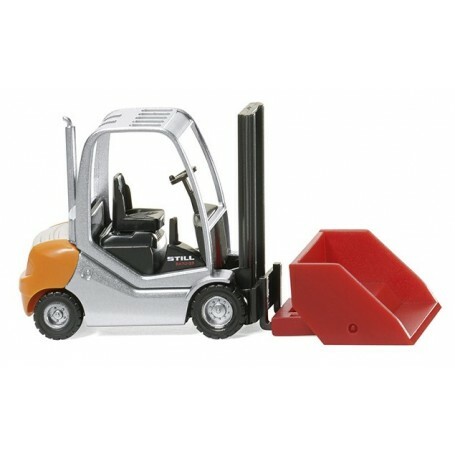 Forklift truck Still RX 70-25 with bucket. Cab light grey, seat dark grey. Steering wheel and chassis dark grey, counterweight in orange, lettering 'Still' on rear in black and model designation 'RX 70 25' on side in red. Manufacturer's logo 'Still' in white. Bucket and mount in traffic red.